Honestly didn't know whether to post this in game content or here... But I just wanted to kinda ramble about this game for a bit so bear with me this will be all over the place probably most likely. SO I'm new as heck, haven't ever played before, started about, eh, a week ago or so. I was looking for a game that was like, open world, had some gathering, dungeons, etc, I love being a healer so that was a must. I ended up finding this and jumped right in. I'm sad I didn't find this sooner. I still play Runescape (rs3 and os) pretty casually, as well as League, but lately those were kinda meh and I found myself wanting to just explore in Skyrim ya kno? This has all that stuff for me wrapped into one game. When I tell you it gives off the BEST Runescape/WoW/Neverwinter vibes, like, ugh, thank y'all. The music is also really fantastic. I usually play most games with the sound on, and it's game like these that are why I do that instead of defaulting into some playlist. The only real negative I have at the moment is that I'm a healer with no one to really heal lmao. Cause I can have high levels help me run dungeons (who don't need healing obviously), or run story mode dungs with like 1 - 2 random low lvls that are scurrying around with me (Cause we can't do regular dungeon mode since we too weak/undermanned/underleveled/undergeared.) But my point is, if I'm having so much fun as a not healing healer imagine the fun I'll be having once I actually hit a point where I can group regularly. I'll probably add more to this or something, idk, there's so much to learn and do at the moment, it's great. The new player feeling is one I really cherish lol. 1.) 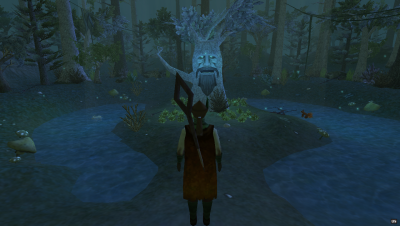 What are some of you guys noob experiences when you first started playing? 2.) Or even helping out newer players like myself (Thank y'all btw.) I know there's bound to be stories where noobs made you laugh. 3.) What got you into the game and why have you continued to play? Or if you've stopped playing, why? 4.) General tips and stuff for any new players that stumble on this would be cool too. Edited by Massitha, 03 April 2019 - 11:58. 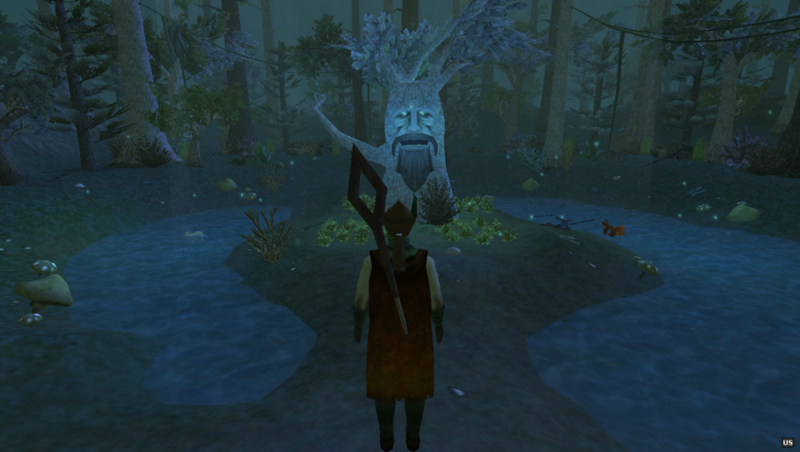 I remember when the pvp island was first released, I was exploring it and the elemental guardian found me and ko'd me. Scared the crap out of me because I had no idea he existed. But they removed him in a later update and I don't think I have ran into another creature who has done that other them bosses of course. As for the game, I liked the appeal of it. I stopped playing as much as there hasn't been any updates going on. I still log on from time to time as I haven't done all the quests yet. Or skills. Too lazy. And to see if anyone on my friend list still plays. I wrote two guides which might be helpful. I read both of those guides (and a few other beginner type guides) when I was first starting out and they helped a ton so thank you! Pretty sure your questbook guide was my 'oh that makes sense' moment for me. I just recently started using Trapper's Atoll, it's cool. I wish it was more active/scary personally, though at one point I assume it was, which is awesome to think about. Still always on the defensive however, so it's not without some fear even now. I do think it's kiiiinda counterproductive to have all the materials in one place, really feels like there's no need to explore for some of these. Thankfully I'm doing TA more for the rewards/xp not so much the materials, cause I personally enjoy the explore and gather method, lets you see more of the game world while also possibly completing quest and such.